There are many factors affecting an automotive brand’s success in international markets and quality translation and localization plays an increasingly important role. The global automobile industry is one of the most competitive fields, not only because car consumers demand the latest makes and models, but they also expect cutting-edge technologies and personalized services to be readily available in the vehicles they purchase. The electric car evolution, autopilot, and self-driving technologies only accelerate the speed of development. This is why car manufacturers today demand professional language translation services that are fluent with the latest engineering advancements and, at the same time, are quickly deployed to the market. Stepes AI-powered, fully automated human translation services provide a much-needed solution that the automotive industry needs to meet the rapidly changing international customer demands and grow their global revenue. China’s new rules on global car manufacturing promise tremendous opportunities for translation services in Simplified Chinese and many other languages. The removal of joint-venture restrictions means multinational automakers are free to invest in China and produce cars independently. Toyota invented just-in-time manufacturing in the 1970s so automotive companies can produce cars more efficiently at the lowest costs. Stepes invented just-in-time (JIT) translation to reduce translation turnaround times to respond to our automotive customers’ requirements for fast response. JIT translation is about using modern technology, the Internet, the smartphone, and localization process automation via APIs, to deliver professional human translation services at the fastest speed. The combination of cloud, AI powered, and fully automated translation services deployed on all devices form the foundation of Stepes Automotive Translation 2.0 solution. The old language translation service models are time-consuming and involve overly complicated workflows for the modern, rapidly changing automotive industry. Car manufacturers can no longer afford to wait for weeks or even months to get their websites, business documents, and automobile user manuals translated. JIT and Lean Manufacturing processes today require content translated easily, on-demand as the engineering developments are being carried out. This means the traditional batch and project methodology for processing high volume language translations are no longer adequate to meet today’s agile manufacturing processes. This is why Stepes highly simplified, on-demand, and just-in-time human translation solutions are in hot demand because we’re able to help global car manufactures accelerate product development and achieve faster success globally. The digital transformation is disrupting the way companies do business, forcing the automotive industry to adopt an agile and continuous development model. This means automotive translation services must be agile, always-on, and provide continuous deliveries around the clock. 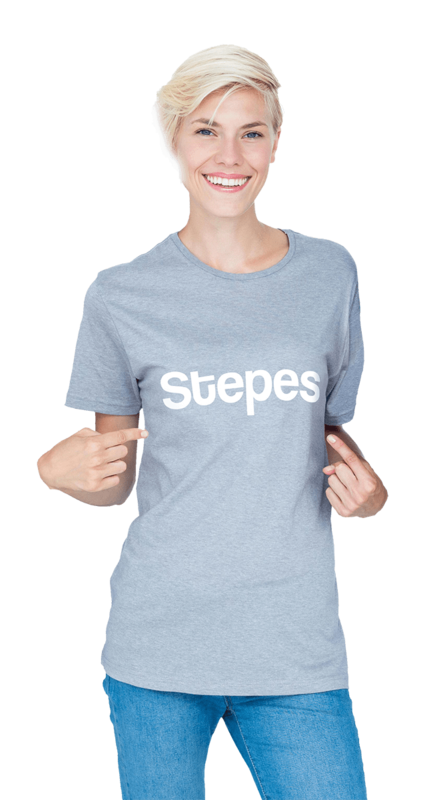 Stepes is the leader in next-gen, AI-powered translation technology that fully automates the entire language localization workflow process so businesses can deploy their multilingual content to reach global audiences fast and on a constant basis. Stepes automotive translation services support Simplified Chinese, French, Indonesian, Brazilian Portuguese and all of the following languages. We are also increasing our offering for Indian and African languages to meet our customers’ emerging market expansions. Stepes offers high quality automotive translations with our professionally trained, native human translators who specialize in multilingual localization for the automotive sector. Unlike other translation companies, we offer complete transparency for our translators so our clients can review their professional qualifications and translation certificates anytime. Better yet, we are the first company to offer our customers a chance to rate our translators’ performance by giving them a star rating. The linguists with three consecutive 5-star ratings automatically become our clients’ dedicated translators. In fact, we’re so confident you will like our services, we offer you a full 30-day satisfaction guarantee. Translations can be subjective due to personal preferences with regards to choices of words and language expressions. This is why it used to be difficult to objectively evaluate a document translation. The SAE J2450 was created in the 1990s by a group of automotive companies such as General Motors, Ford, and Chrysler in conjunction with SAE (Society of Automotive Engineers) as an attempt to quantify language translation quality. It uses seven-point metrics that can be more easily measured and include such criteria such as missing translation, terminology errors, mistranslation, grammar errors, and inconsistencies, etc. Since its invention, J2450 has been widely adopted by the localization industry to conduct professional linguistic quality assurance (LQA). Need Large Volume Automotive Translations?